Do you need insulation for your pole building in the Eau Claire or the southern-central Wisconsin area? Look no further than the team at Alpine Insulation. We complete many different commercial insulation projects, and this includes pole barns. Buildings with no foundation and with sides consisting of corrugated steel or aluminum panels supported by poles, pole barns (or pole buildings) are used in the commercial, industrial and agricultural industries. For maximized temperature control and energy efficiency, they need to be properly insulated. In pole barns, ceiling/roof insulation and overall proper ventilation are critical. If your space isn’t insulated the right way, condensation and the elements can ruin contents inside (hay, tractors, equipment, etc.). No matter your pole barn insulation needs, Alpine Insulation can help. We serve Eau Claire, Wisconsin as well as the southern and central parts of the state, including Madison and Milwaukee. 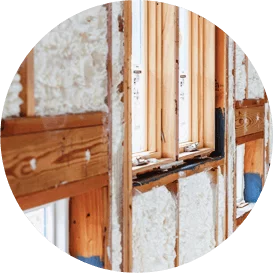 As part of the IBP family of companies, our professional insulation team offers the experience and resources that few companies can match. 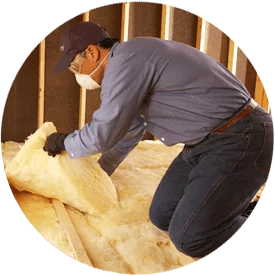 You can rely on Alpine Insulation for on-time, affordable installation. We’re just a phone call away, so get in touch to start your project!